An invitation to reflect + make 2018 your best year yet! Every year, around this time, I love to reflect on the previous year: the highs, the lows, the wins, the lessons..all of it, to make space for what lays ahead and think about what I want to welcome in and attract in the upcoming year. 1. 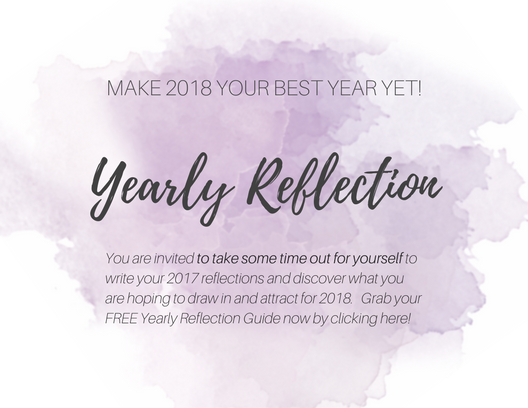 A Yearly Reflection Guide for you to print and write out your answers to some super powerful coaching questions that will help you reflect on 2017 like never before and really look ahead to 2018 as you explore what you really, really want! Be sure take some time out for you to reflect and really get intentional about what you want to bring forth into your life.